I love it when an opportunity to review something dovetails into a study we're already doing. That was the case with Terrific Tigers. 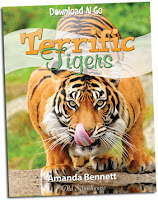 Terrific Tigers is yet another great Unit Study by Amanda Bennett and part of the Download N' Go series. Middle was starting the chapter about cats in Apologia Elementary Zoo III when we got this unit. It's available for only $7.95 here. He loved it! The videos were great and I think all of the boys had to take turns watching them. Over and Over. There's something very interesting about Tigers and this unit study really helps you understand these animals well. The five day study has lots of videos, the Tiger of the Day and book recommendations for each day. Day # 1 - What is a Tiger? Day # 2 - Getting to Know Tigers. Day # 3 - Where are the Tigers? As part of our Zoo III study we are doing lap n' note. 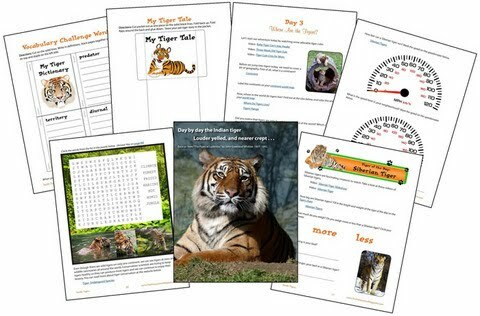 Download N' Go provided us with plenty of things to add to our notebook - Our Tiger Word Dictionary - our Tiger of the Day Chart and one of our favorite leaning tools - a Venn Diagram comparison of house cats and tigers. There are many more lapbook and notebook components of this study - these are just a few! Another big hit was the Tiger puzzle. We just printed it on cardstock and are keeping the pieces in a library pocket in our binder. I love that the videos are safe. I don't have to worry about my kids seeing something I'd rather them not see. Middle loved that there were so many to choose from. 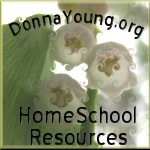 We did not use the coloring pages much but they are a wonderful resource. My oldest likes the riddles in this unit. Take a look at the sample located here for an idea of the material available in this study. I believe the Siberian Tiger was voted the most popular though I personally like the Bengal Tiger best. Now I have to explain that no, we cannot have our own pet tiger named Hobbes (of Calvin and Hobbes fame) and perhaps we could try to find one to sponsor in a zoo. So Terrific Tigers has launched us into another area of research - how to aid efforts to preserve some of God's most beautiful creatures. I cannot recommend this particular study enough. The information could easily keep you studying well past one week. 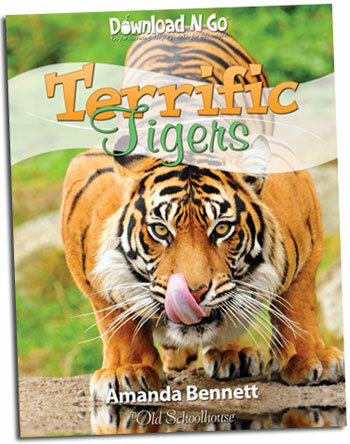 Leave your email in the comments section for a chance to win a free copy of Terrific Tigers. I'll draw a winner on Monday as it's a birthday weekend for the oldest boy. Remember - members of the Download N' Go or The Old Schoolhouse Review Crew or TOS affliates are not eligible. Disclaimer: I received a copy of this unit study for the purpose of review. This is my honest opinion. Please remember all families are different and your results may vary. I received no other compensation for this review.